ANURADHA MAHESH – Page 2 – ’Music is a Discipline and a Mistress of Good Manners, she makes the people milder and gentler, more Moral and more Reasonable’’ – Martin Luther King. 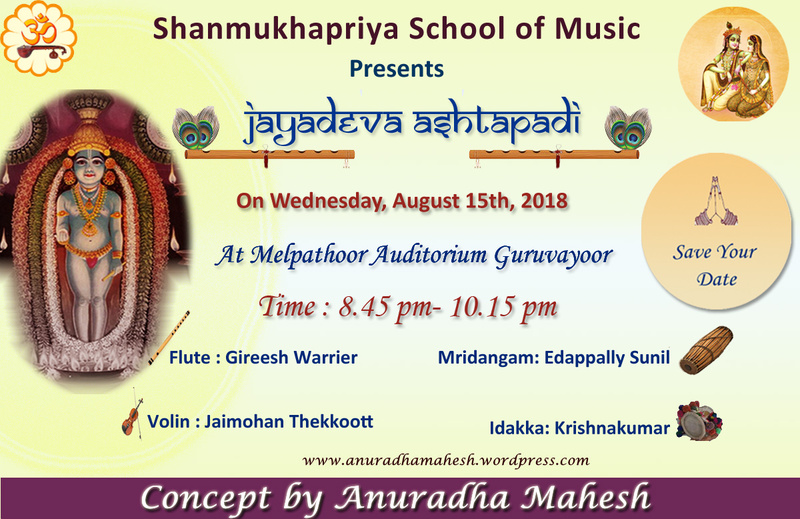 A YouTube Channel has been opened for Shanmukhapriya School of Music to showcase the talents of the students. Kindly visit the YouTube page and keep updated. Click here to view the videos of our Navarathri Celebrations. !! Will be posting more Videos. 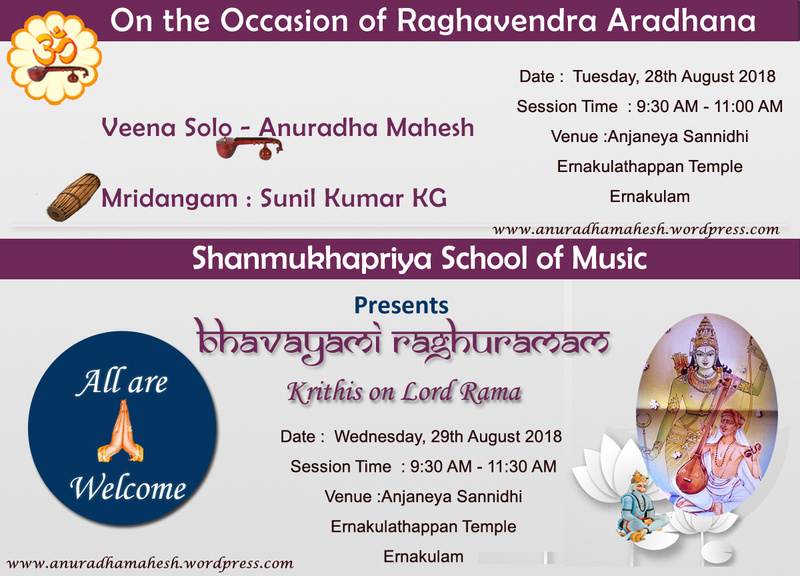 Happy to inform that Shanmukhapriya School of Music has started with Online Certificate Courses in Carnatic Music / Karnataka Sangeetham. The founder Director Anuradha Mahesh who is a postgraduate in Carnatic Music, is a vainika , vocalist, musicologist and a composer. The activities of the music school and online courses are executed under her direct supervision. 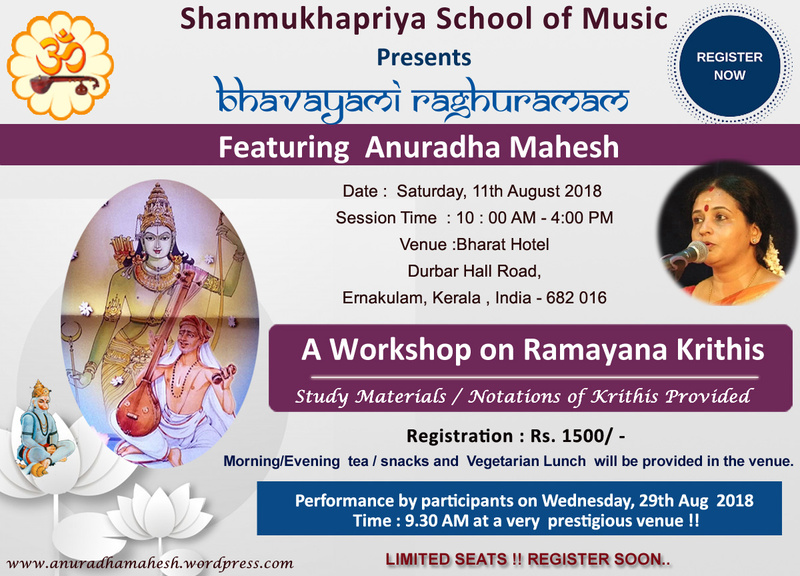 She is also actively engaged in several other projects in the field of therapeutic music and is an adviser to several Carnatic Music institutions right from drafting their syllabus and imparting knowledge through several workshops on rare krithis , varnams and thematic compositions.